*Students will walk across the street to WHS as a group after school. I am thrilled to announce that the WMS Choirs are partnering with Maple Park Retirement Village (next to WHS) AGAIN this holiday season! As some of you may remember, we began our community partnership last year and provided 40 residents with small holiday gifts. This is a great opportunity for our students and families to come together in an effort to learn a little bit about community service, charity, and giving to others. Most of the residents at Maple Park are there on Medicaid and the Village receives no additional assistance for the holiday season. That’s where we step in! There are 2 holiday trees in the choir room that will be filled with ornaments (beginning tomorrow, Tuesday) containing the names and needs of 40 residents at Maple Park. Their needs are often very small, ranging from sweatshirts and socks to body wash, lotion, and bracelets. If you have it in your heart to help a Westfield resident who would really appreciate a small gift this holiday season, please e-mail me (I will send you a resident’s info) or have your student pull an ornament from our tree! The tree ornaments will state exactly the person’s name and a few ideas for gifts for them. You do not need to purchase every item on their wish list. I always encourage students to collaborate with their friends and adopt a resident together so that each student is taking on a smaller financial burden, but that the resident is taken care of nicely! Any fun items that YOU would want to win at BINGO! With Black Friday coming up, I wanted to get this information out to you prior to this weekend so that you could do some inexpensive shopping should you and your student choose to participate. Last year I took two FULL car loads to Maple Park Village and the staff was SO overwhelmed with our generosity. I know many of us are pulled in many directions at the holiday season, but if you do not have another family or child that you are adopting, consider adopting a resident! If you haven’t ever seen this video, it is a “must watch” (and I am not saying that just because I am pregnant)! The baby girl’s face is just too sweet when she listens to her mother’s singing. I would give each of my students corn dogs if I could! If you don’t understand this, you didn’t watch the video. I like to share fun videos that I come across through social media or links that friends pass my direction. The kids get a kick out of them and it is great for them to see unique performances. If you’ve never seen Pentatonix perform, I highly suggest you watch a few of their videos. They take current music and write a capella arrangements to suit their five-voice group. This “Evolution of Music” video takes you through time. They are all amazing, but the bass and the beat boxer really wowed me! Students in the choirs were introduced to Eric Whitacre’s Virtual Choir today via the TED video below. Eric Whitacre is a well-known choral composer who thought it would be neat to collect videos of people from all around the world singing their voice part to one of his songs. He collected all of the videos and layered them on top of one another to create the world’s first Virtual Choir! The video below is 15 minutes long and chronicles how the Virtual Choir came to be, described by Eric Whitacre himself. It is well worth your 15 minutes of viewing. To see all of the Virtual Choirs, check out the videos following. Virtual Choir 4.0 is very different from the others in style and in animation! Congratulations go out to Vocal Motion for a WONDERFUL performance of the National Anthem at the Butler Men’s Basketball Game on Monday, November 21. The choir sang so well and we received many wonderful comments. Video will be posted as soon as I have it! Forms for Voice & Piano Solo & Ensemble Contest are due WITH entry fees on Wednesday, Nov. 30!!! NO late entries accepted so get things in on time! If you need a form, download the one below. Solos are $12 and Ensembles are $6/person. The event is held on Saturday, February 11, 2012 at WMS. Vote for our New Choir Names! Text the # next to the name you like below to 37607. #1. I love fresh salsa. Ole! There isn’t much else you can say about it. 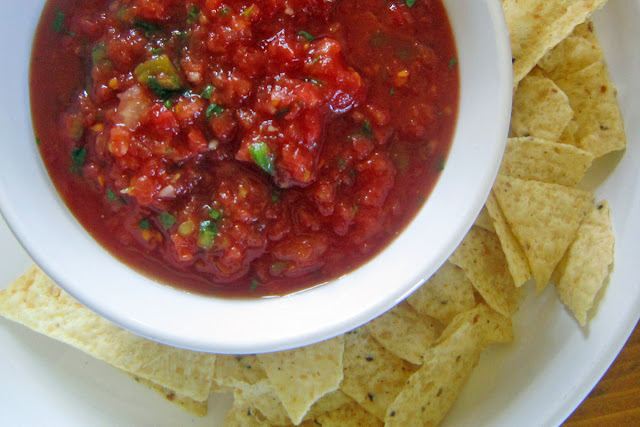 I found a fabulous recipe for fresh salsa that is easy to make in a food processor and oh so delicious! If you are a chef, check out the recipe here. You won’t be sad that you did. 1 jalapeno is enough to add some heat. Kick in 2 if you are really adventurous (and a little crazy)! #2. We recently got rid of our cable – and it broke my heart. My husband and I decided it was insane to pay as much as we were being charged for cable, so we ditched it. We now watch TV using a digital converter box (what’s that you ask? ), the internet, Hulu, and Netflix. So far, it’s been enough! What program can I not access right now that I desperately miss? Flipping Out on Bravo for sure! I love that Jeff Lewis! “Get me 70% Sprite, 20% Fruit Punch, and 10% Lemonade.” If you watch the show, you’ll understand that quote. I’m a self-proclaimed reality TV junkie. #4. I participated in marching band in high school for 4 years, but did something different almost every year. Year 1: I marched with my alto saxophone and LOVED it! Year 2: I twirled batons as a majorette. (I got to wear sequins. Who doesn’t like wearing sequins?) Years 3 and 4: I conducted the band as Drum Major. #5. I really enjoy reading novels set in coastal beach towns. Message in a Bottle (Sparks) and The Violets of March (Jio) are two of my favorites that I read somewhat recently. I’m currently reading The Help. What books did you read this summer that you would recommend? #6. I am an amateur photographer. When I say amateur – I mean AMATEUR! I do love photography and especially photos of my daughter and puppy. I get excited talking about lenses, flashes, ISO settings, and all that geeky stuff. Here is a photo I took of our daughter this summer. Click on the photo to see a larger version. Her beautiful green eyes sparkle when you can see it in larger form! #7. My favorite singer in the entire world is Jane Monheit (right). I was introduced to her music one lazy day at Barnes and Noble when they used to have those listening centers in the music area highlighting new artists. Monheit was one of them and I was hooked from the moment I heard the first notes come out of her mouth. If you like vocal jazz, check her out on Spotify. You will thank me that you did – over and over and over. Over the Rainbow and A Case of You are two of my favorites that she sings! Feel free to leave a comment below sharing anything about yourself that may help me get to know you (parents and students alike). You can also share any of our blog posts (for instance, if you want to tell your family members how loony the new music teacher is). To do so, click on the “Share/Save” button below and automatically post this to Facebook or Twitter! WMS Music Updates on Facebook and Twitter!